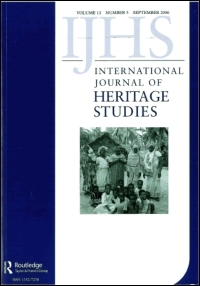 Journal summary: The Association for Heritage Interpretation (AHI) is a UK-based professional association focused on interpretation – the art of helping people explore and appreciate our world. 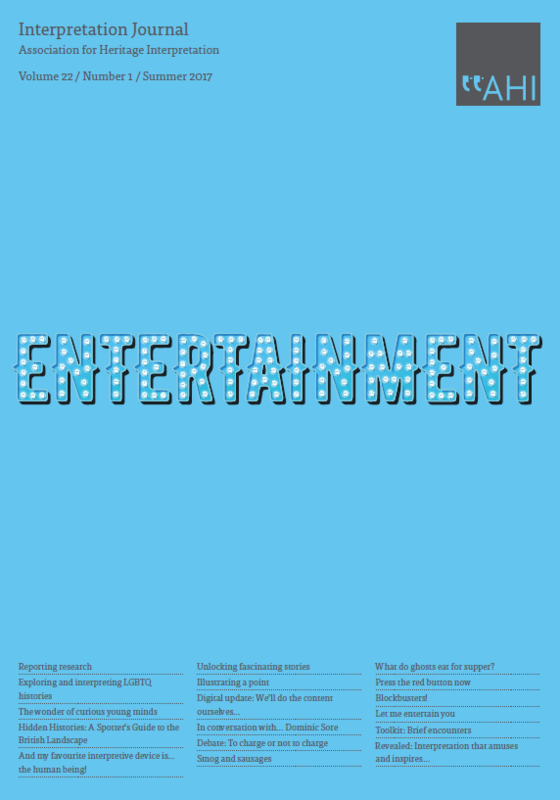 It offers a forum for ideas, debate, networking and sharing good practice and brings together people actively involved or concerned with interpretation of natural and cultural heritage. Interpretation Journal is produced by AHI twice a year, and contains a mix of articles, guidance and case-study resources. 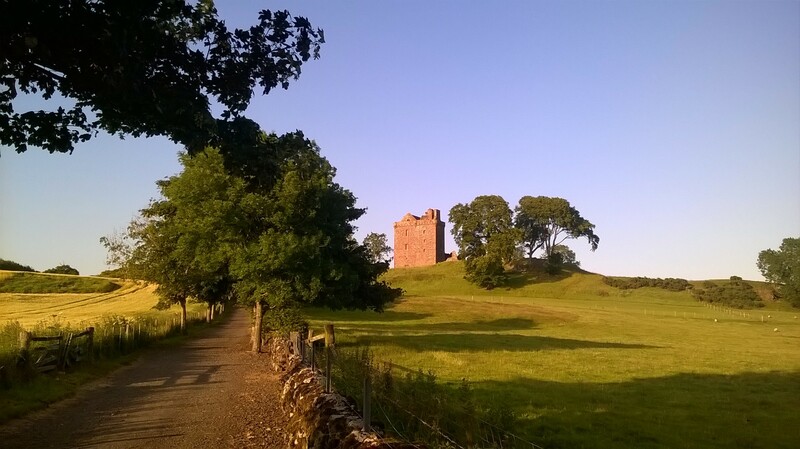 A glorious evening earlier this week prompted a visit on the way home from work to Balvaird Castle, one of Historic Environment Scotland’s historic properties. 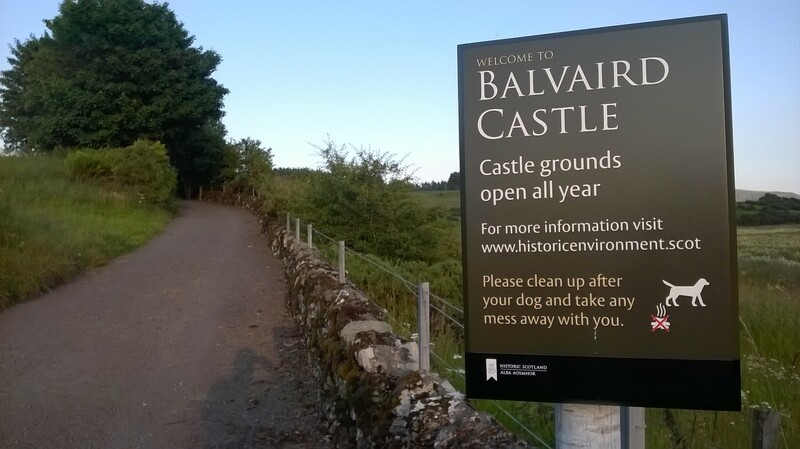 Balvaird is a ‘free to visit at any reasonable time’ site, located just inside Perthshire. 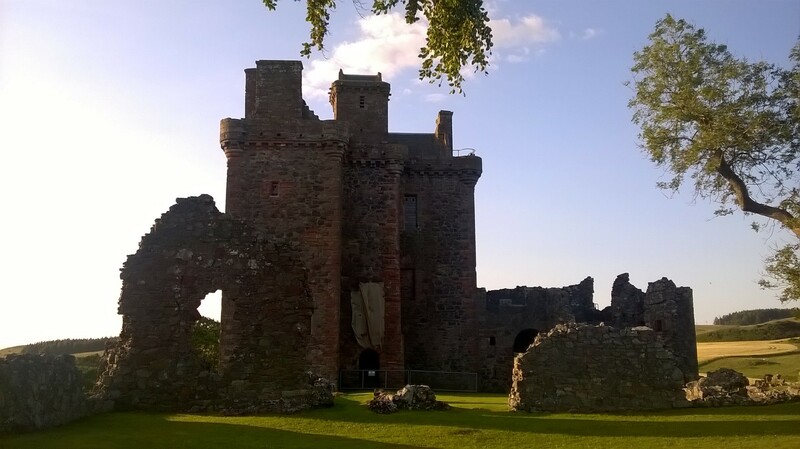 Currently the site grounds and building exterior are the only part of the castle which are accessible, with the entry on the HES website noting somewhat curtly, ‘View Exterior Only’. The site, however, provides an opportunity to examine an archaeology of visitor experience and tourism at a location which clearly sits on the edge of ‘viability’ as a visitor attraction, with vestiges of different property management and tourism promotion regimes still visible in different aspects of both the physical / tangible and virtual / intangible experience. 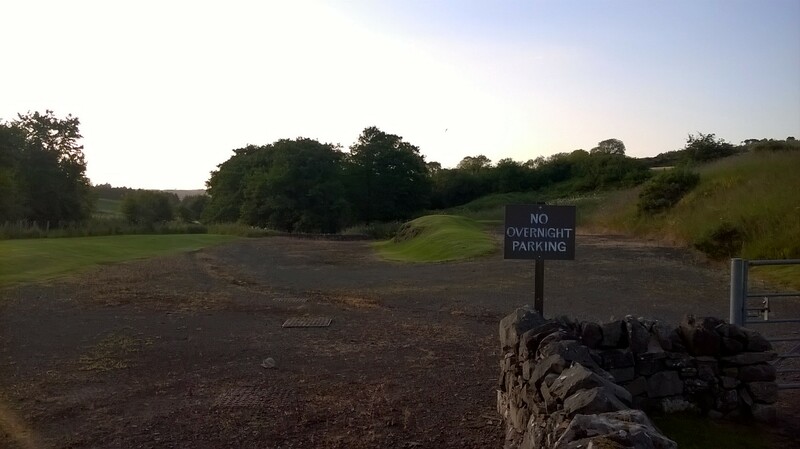 The site has a substantial car park area, although this is not always accessible, and a warning sign prohibits overnight parking. The car park was locked on my visit (and has been locked on each visit I have made over the past few years, so I am not sure if it can still be used to park in). There is a small amount of usable parking space in the turning area between the car park and the access track to the castle. At the bottom of the track leading up to the castle is a small building of an interesting shape and design reminiscent of the old ticket office buildings constructed by the then Ministry of Works/Department of the Environment for properties in care. It contains a door and very small window in a niche on the side facing the castle access track, and it is not clear what function this building fulfilled given it’s somewhat odd shape. The site is now unstaffed so the building is secured, and an old style Historic Scotland interpretation panel provides a basic site overview. Part of the panel has been obscured, giving details of interior opening of the tower that used to be provided during the months of July, August and September. The attempt to obscure the historic opening details has been damaged by visitors/vandals wanting to read the text which had been covered up. A tantalising situation is therefore created for the expectant visitor – the site has previously been more accessible than it is now. A newly installed (2016/17) small sign at the entrance to the track provides another piece of site access information, focusing (somewhat incongruously and unfortunately) on dog mess, but also pointing visitors to the HES website for further information. The access track to the site, gated (and locked) is an uphill walk of around 5 minutes. To get onto the track, the visitor must go around the gate through an opening in the low brick wall which forms the boundary to the car park. The track itself is well maintained, and is used for vehicular access to the site for grounds and conservation maintenance. As the visitor climbs the hill to the tower house, it becomes easier to appreciate the completeness of the main building, and it’s prominent setting and defensive capabilities in the landscape. As the base of the tower is reached, a further remnant of visitor management is encountered – a small stone wall enclosure with access steps to brown Olympic modular ‘pod’ buildings, with the clear design function of a former custodian’s ticket office. This is again typical of the smaller site visitor management solutions deployed by MoW/DOE in the late 1970s and 80s. 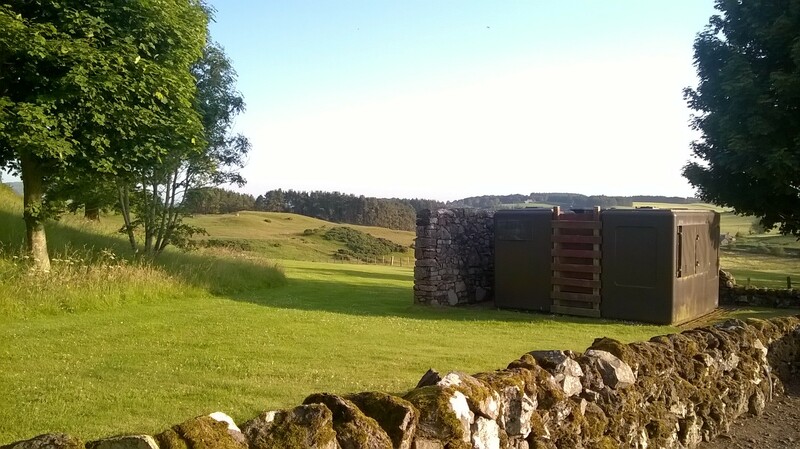 Adjoining the ticket hut is a further smaller hut (presumably a toilet) and water tank. All three structures are boarded up and in a poor state of repair. On passing the redundant ticket hut, the track turns into the main tower house enclosure, and peters out into a stone inlaid path which then transitions onto mown grass turf. 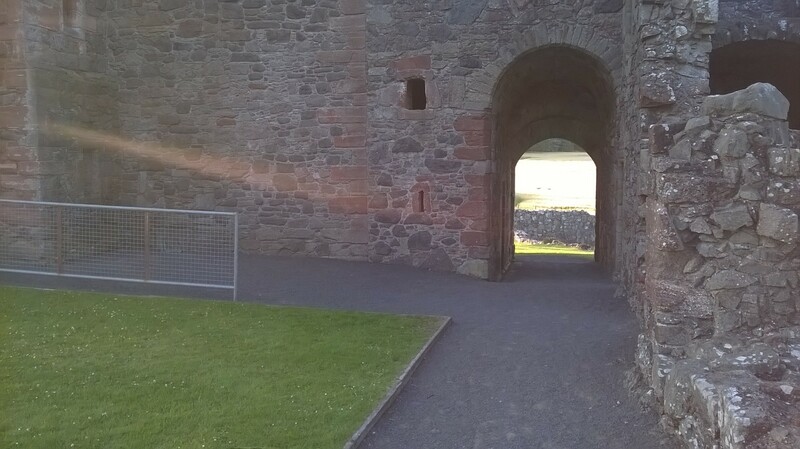 The interior footprint of the main site combines typical closely mown grass turf and substantial gravel path access through the vestibule and to the tower house door. The visitor can explore around the base of the main tower house, the ancillary buildings around the inner courtyard, and can look down onto the surrounding outer courtyard area (now meadow-length grass with cut path around edge), and the wider agricultural landscape which the castle commands a view over. 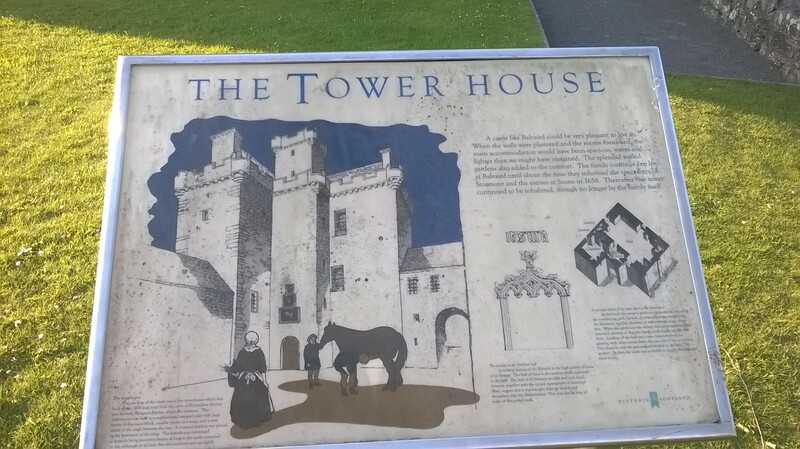 Two of the older style interpretation panels (from the early 1990s) provide a short historical context and overview of the overall site, and further information on the tower house itself. 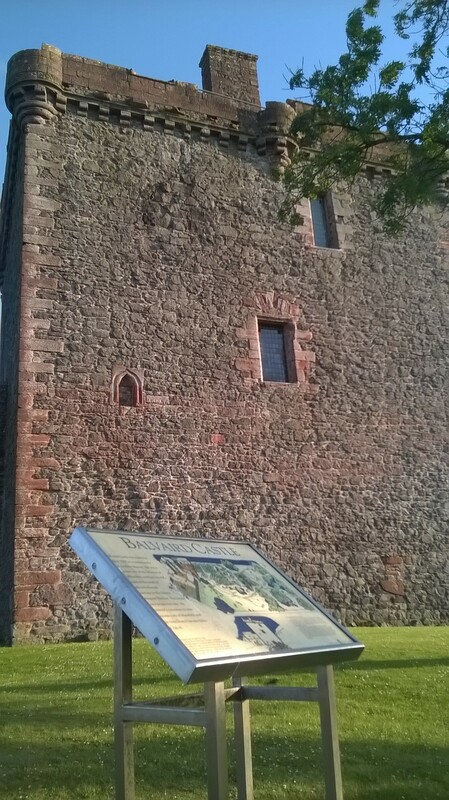 Notable features within the tower house are highlighted and illustrated, although of course, the visitor cannot access these. 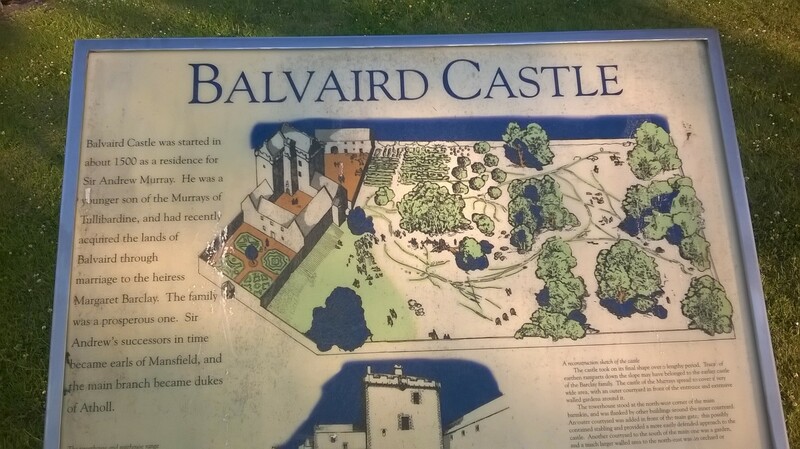 The text is fairly sparse, though does provide a basic historical context for the site, its owners and the building and development of the castle complex. The illustrations and cut-away tower plan gives just about enough information for visitor, but the completeness of the tower, and the fact that you can see access points and guardrails on the roof of the gatehouse and the battlements of the tower clearly suggest that the interior of the building is worth seeing. 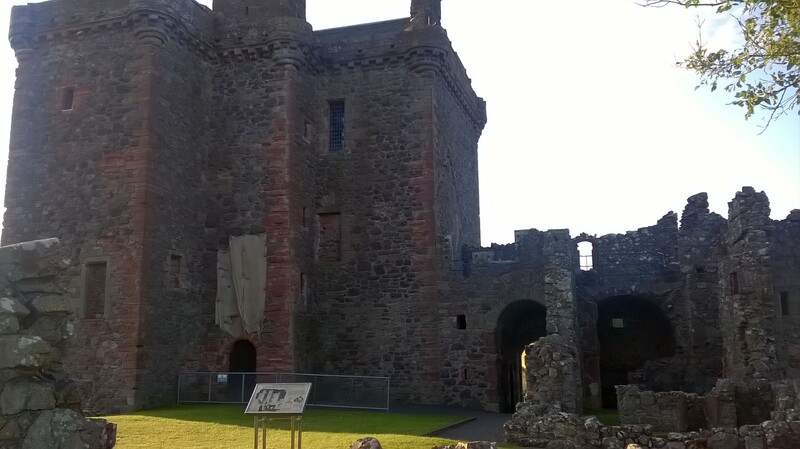 Conservation work has been undertaken on the tower, and recent conservation work is apparent due to the existence of temporary barriers around the door to the tower, and hessian covering over carved insignia over the tower door. 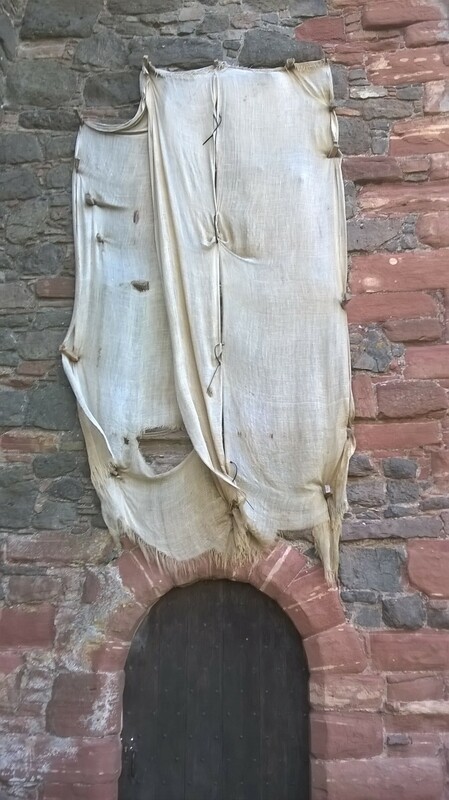 The covering is blowing loose and fairly tattered, suggesting that the conservation work is perhaps inactive. No information is provided about this work for the visitor. The main HES website entry for the site provides little more information than can be accessed directly on the site, though there are very short pieces of information provided for Site overview, Opening, Getting there, and History. There is therefore an ‘interpretation deficit’ on the site in its current form given the limited information which is provided to the visitor, given that it is described as an “unusually complete tower house complex”, having “..an ingenious design which sets it apart from its contemporaries..”. The Canmore entry on the National Monuments Record does provide some further information and images, including limited details of findings form archaeological work undertaken during the restoration period of the site in the 1980s and 90s. This information however is largely technical description rather than interpretation design for the visitor to understand the site better. 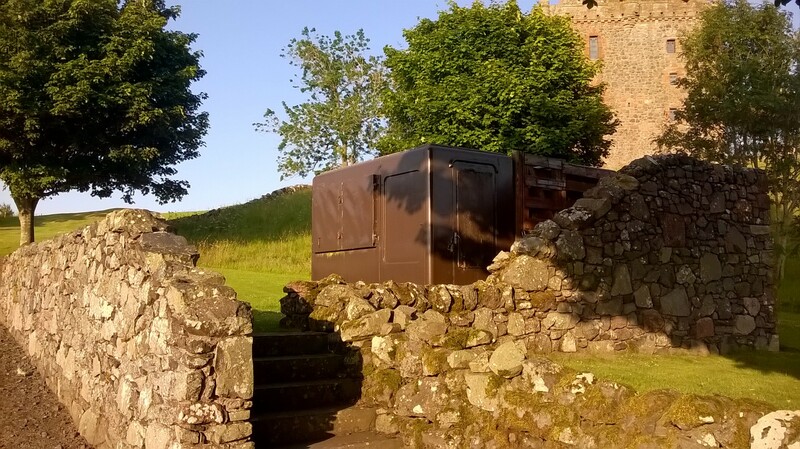 Having been a Life Member of Historic Scotland since 1990, I don’t recall the castle ever being highlighted as a ‘paid access’ site, which also raises interesting questions about the visitor facilities which have been provided for the site. 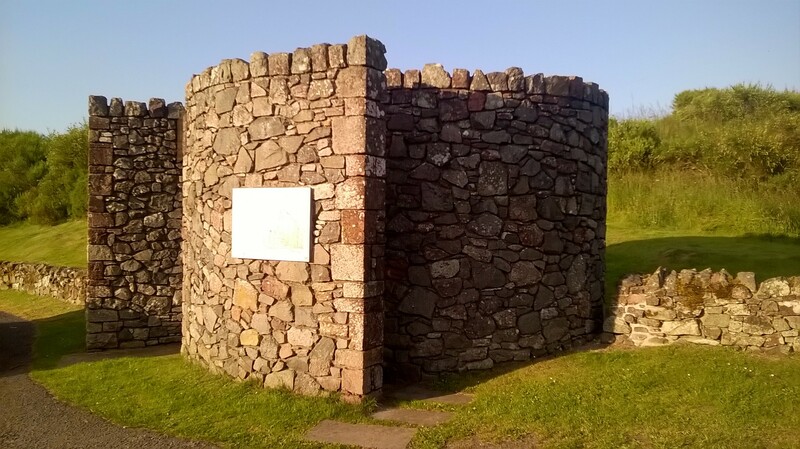 Assuming that these were built at the time of restoration work, a period which coincides with the establishment of Historic Scotland as a separate management agency with associated commercial tourism expectations – did this site ever get opened fully as an attraction? Were the visitor facilities abandoned before they were used or very soon after they were provided? If they were used, what made the site viable or unviable as a staffed site over time? Can the site still be accessed by special arrangement, and what might be done to revive interest, or increase access by other (virtual / interpretative) means to the site? As with any excavation, various key pieces of information are missing, and this ‘tourism archaeology’ initial survey needs to be followed up to ascertain other pieces of information from conservation and properties-in-case site management documentation held back in Edinburgh. This in turn is likely to lead to a prompt some analysis of the organisational decision-making within the different parts of (then) the Scottish Development Department and subsequently Historic Scotland to see how the site was considered and decisions made at the time. 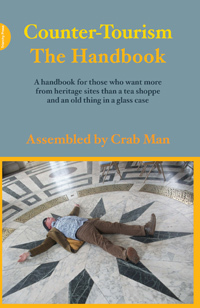 This analysis is informed by the the US National Parks Service’s approach to understanding ‘administrative histories‘ and allied social history of conservation explored in the likes of Thurley’s ‘Men from the Ministry‘ and associated English Heritage research project. In intellectual terms, this approach also aligns to management history, a long established field of interest, with its own academic journal, and of course historical aspects of tourism management and site interpretation. 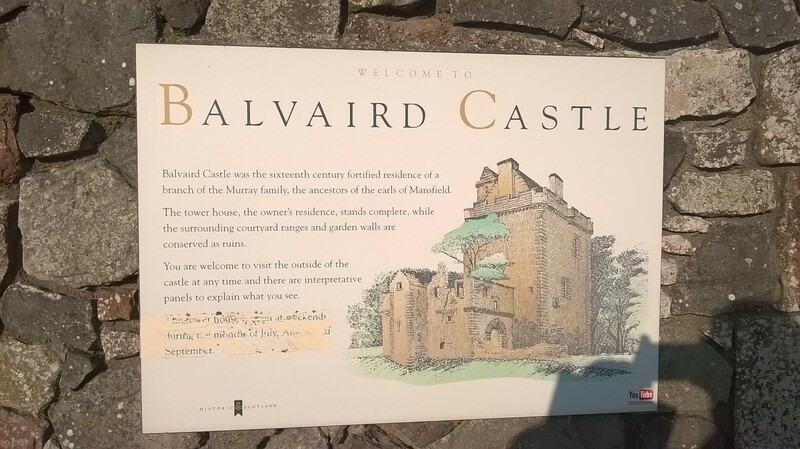 More work to follow therefore to understand more about Balvaird – the administrative history of which forges the latter part of the historical (and future) story of the monument. As a footnote to this piece of tourism archaeology, the investigation is satisfying an long-standing itch which the site triggered in me – my mother tells me a story of my parents taking me to visit the site when I was a toddler before any conservation work had been undertaken on the site. They could get me to walk as far as the entrance vestibule but no further – my heels dug in to the ground rigid. No amount of encouragement or cajoling could get me past the threshold. Something had spooked me. Many years later, however, as a school pupil about to go to University to study archaeology (and not having visited the site since), I persuaded the stone masons who were working on the restoration of the tower to let me don a hard hat and explore inside under their supervision. I have therefore been lucky enough to ‘visit’ the site fully, and climb out onto the parapets. I have inevitably been drawn back to explore further!